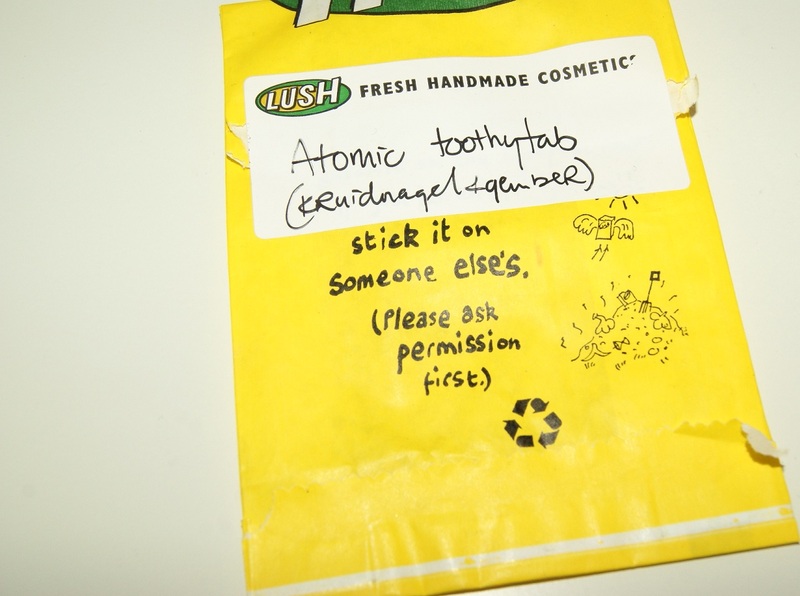 It was a little weird to see these.. Toothy Tabs by Lush. They are bacically toothpaste tablets in different flavors. 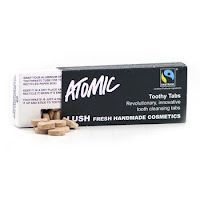 I tried out the 'Atomic Toothy Tab' with cinnamon and clove. And.....??? 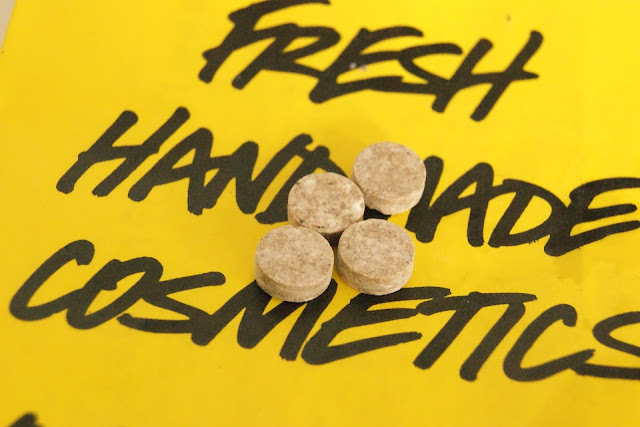 I have to say I like them.. they taste a little funny, but leave a nice fresh taste and breath. I don't know if it's enough to only clean your teeth with these tabs, but they are nice for quick refreshment. Also, the little box they come in is perfect for traveling. It will fit in a small bag perfectly. Go get some.